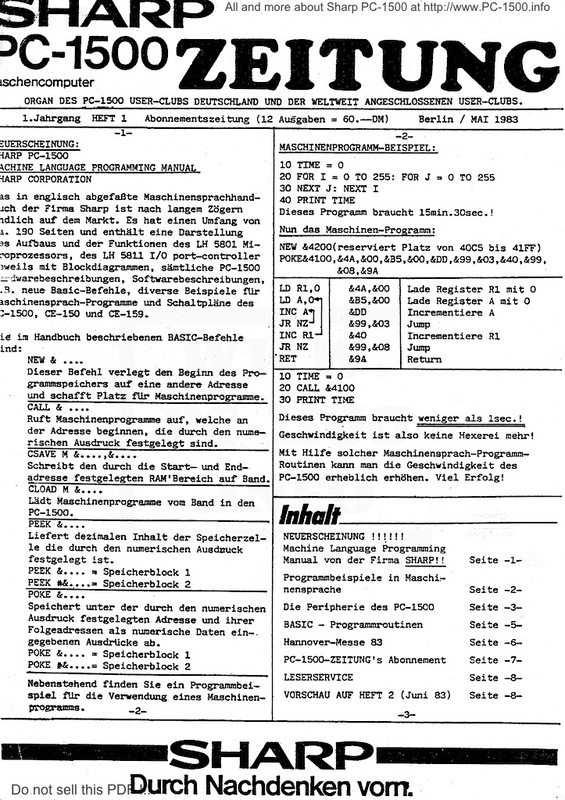 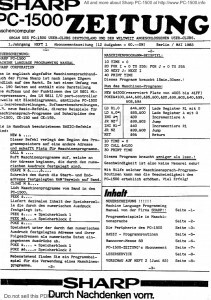 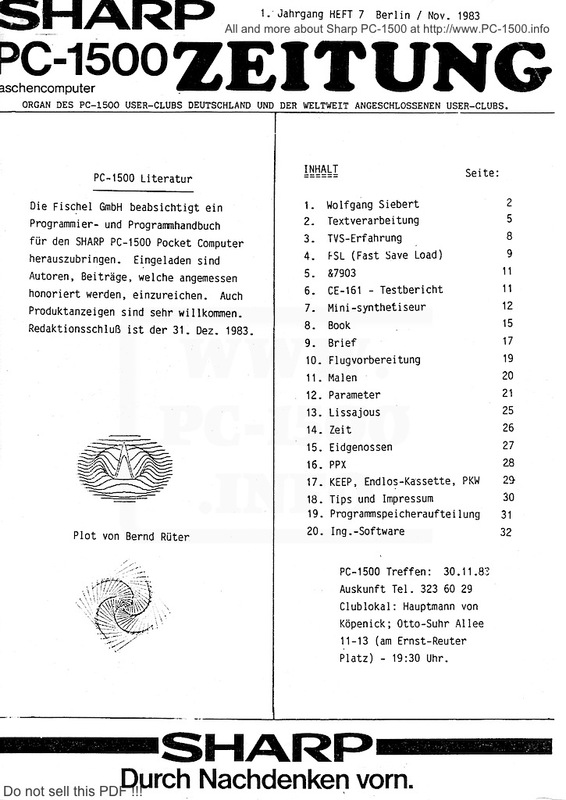 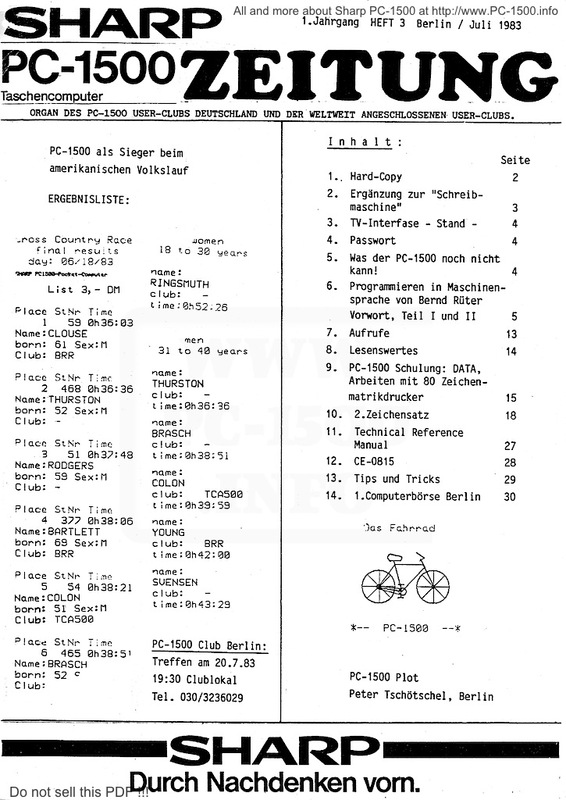 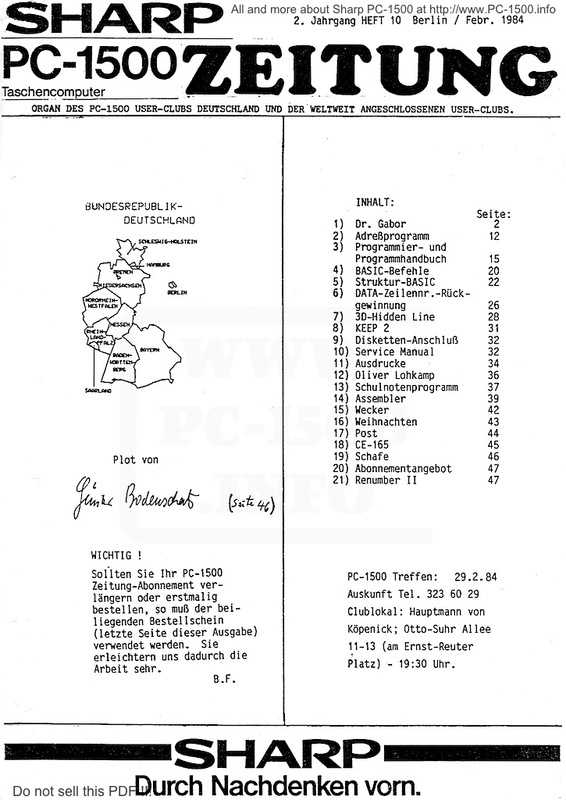 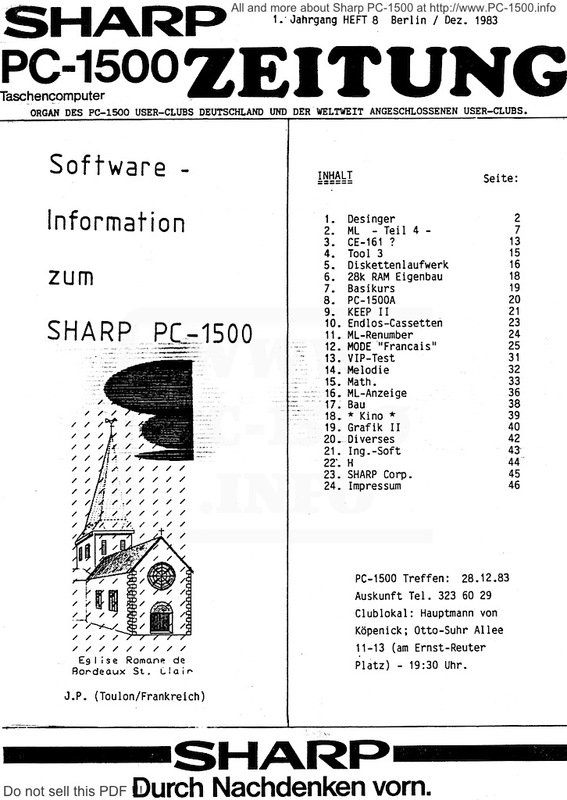 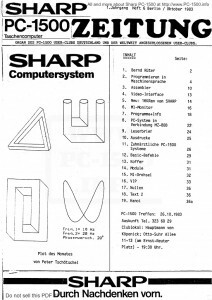 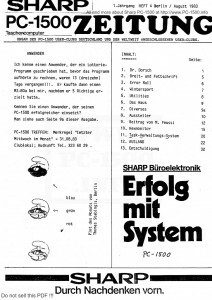 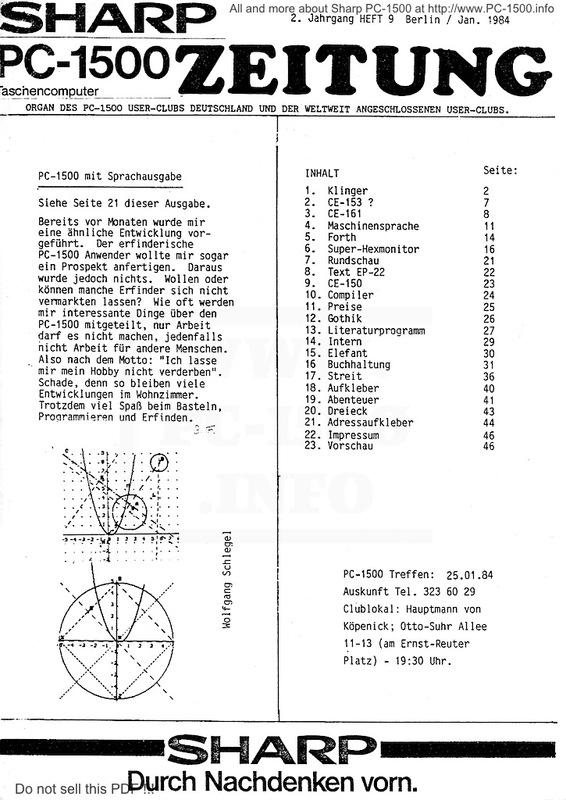 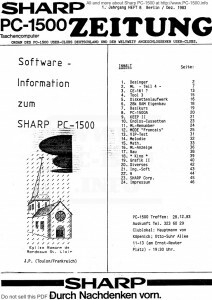 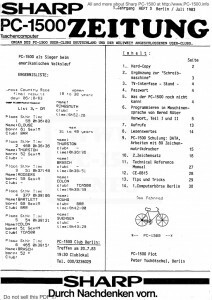 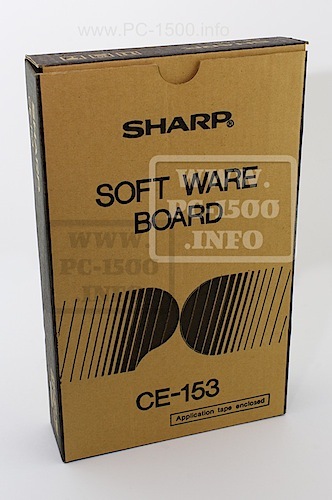 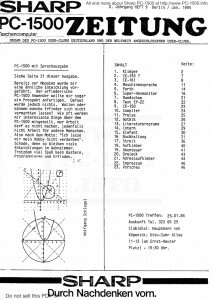 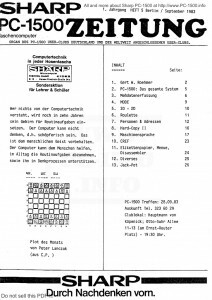 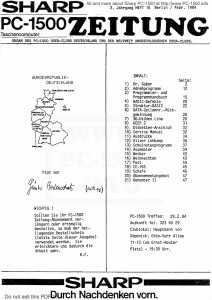 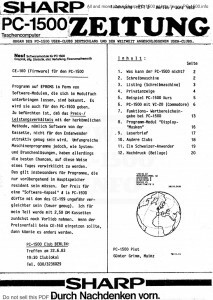 In Mai 1983 the german user clubs started a very nice magazine : Sharp PC-1500 Zeitung. 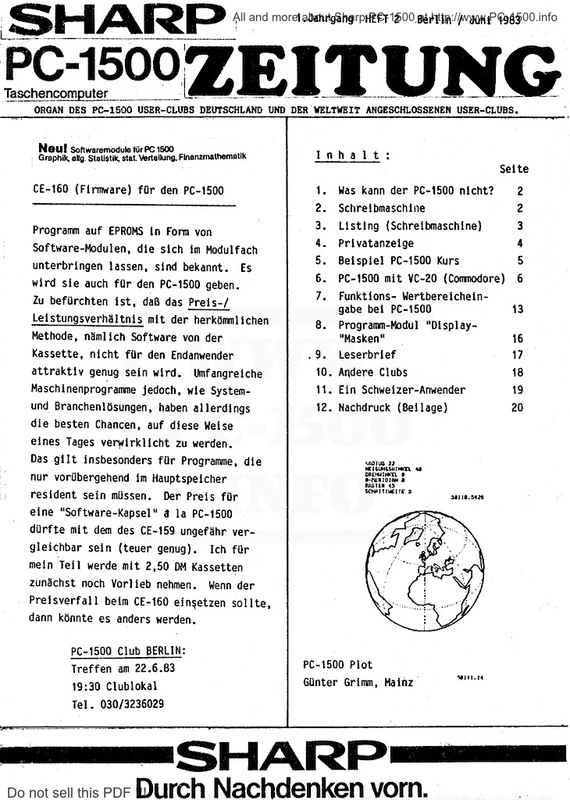 This magazine was published from may 1983 to december 1984 (19 publications). 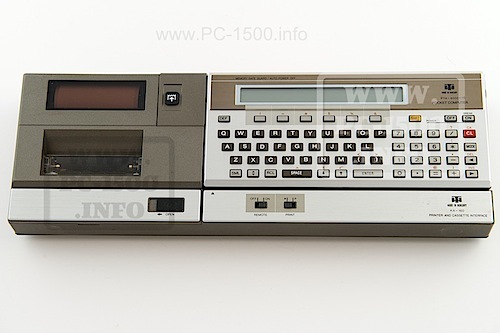 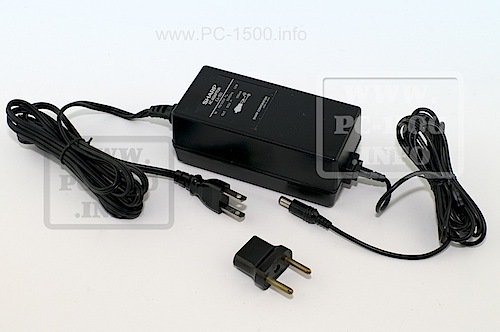 It was a good way to discover the PC-1500 world. 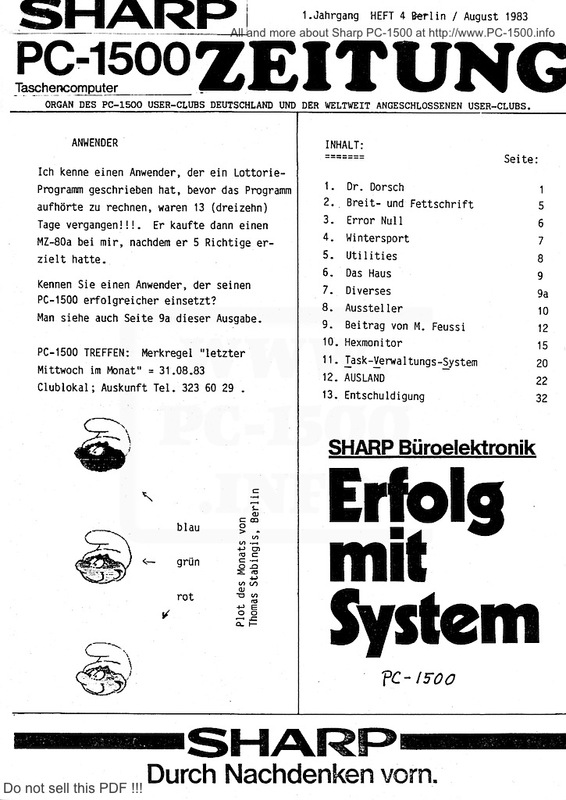 There were lot of adverts and informations. 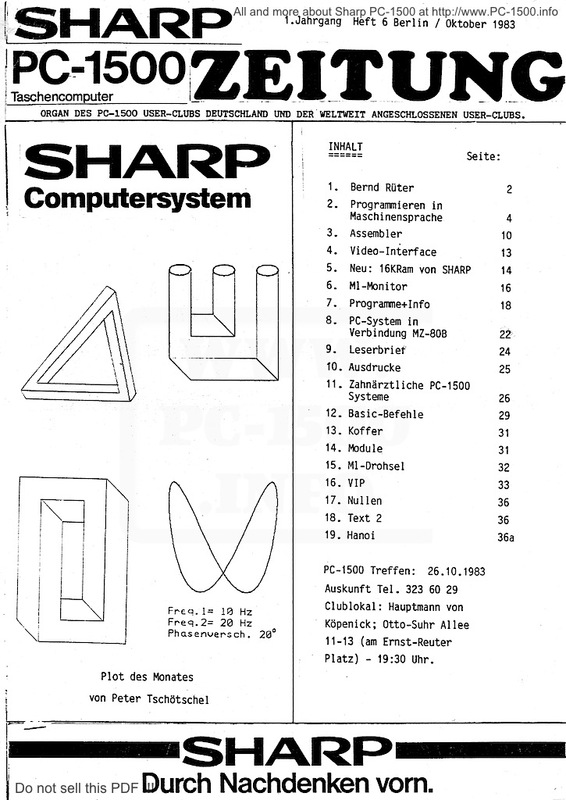 You’ll find some exchanges with the french club “Sharpentiers”. 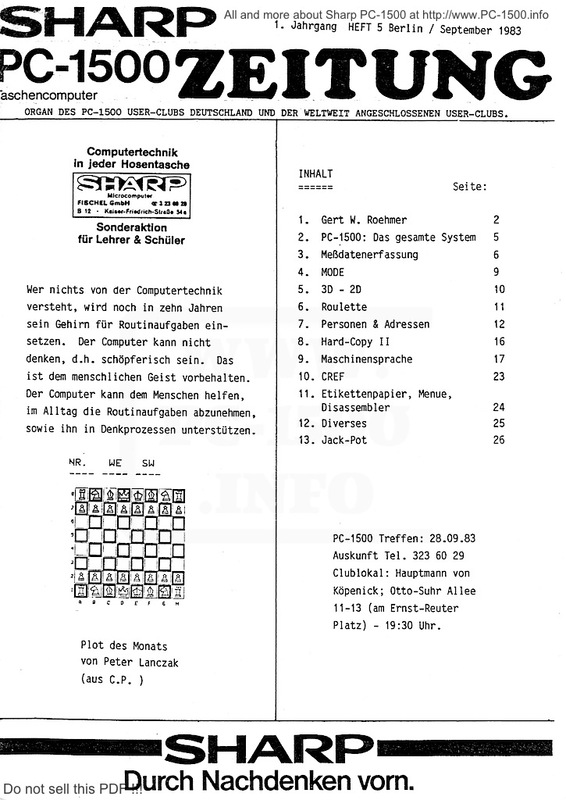 And sure, you’ll find some of Xavier Fojud’s publications ! 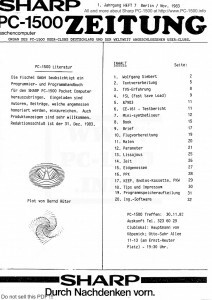 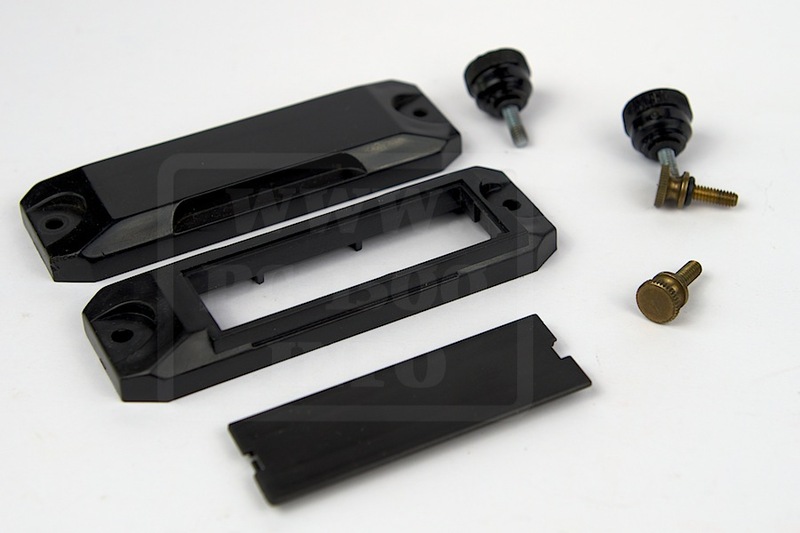 This entry was posted in Blog, Manuals and books on 10/05/2014 by Rom1500.